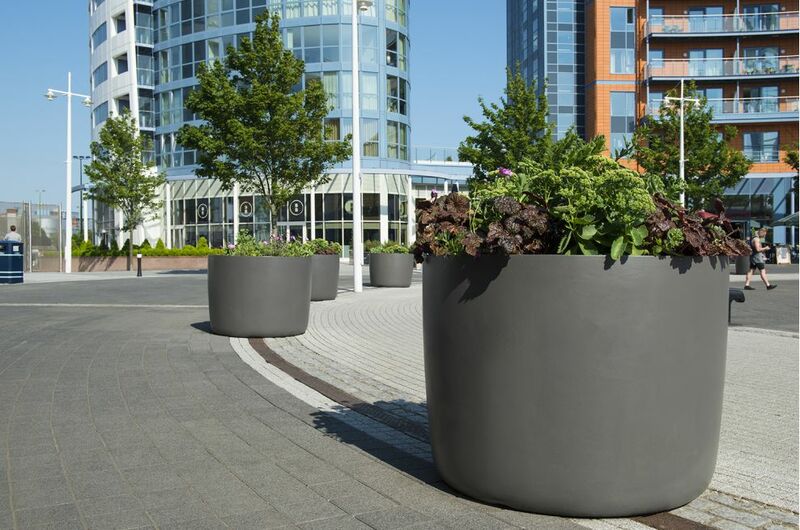 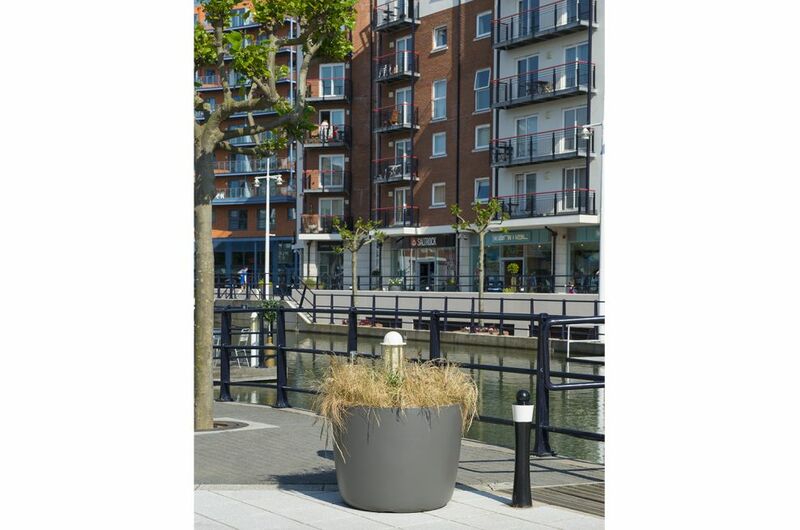 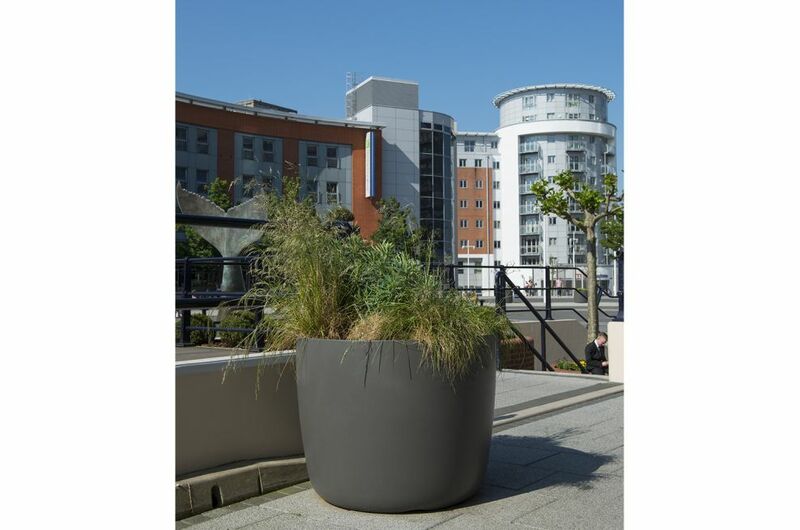 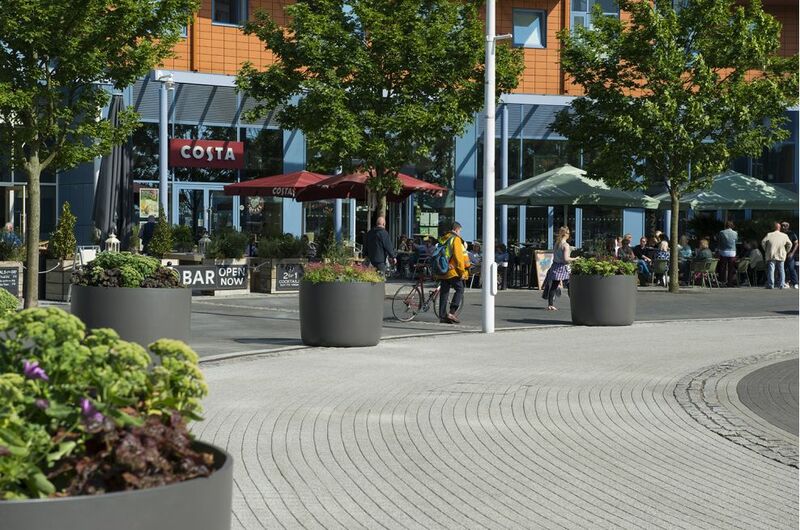 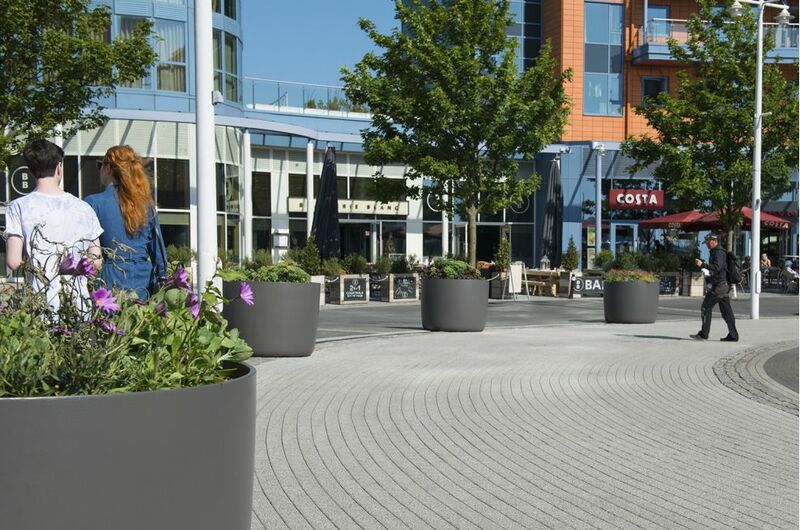 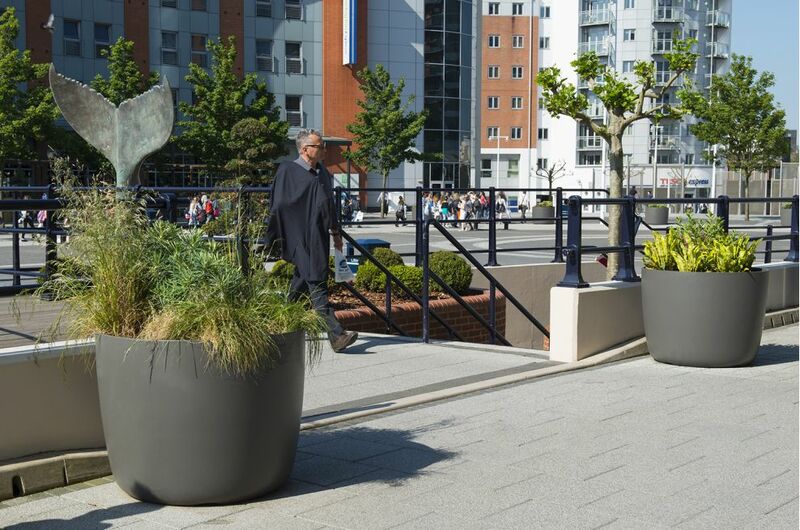 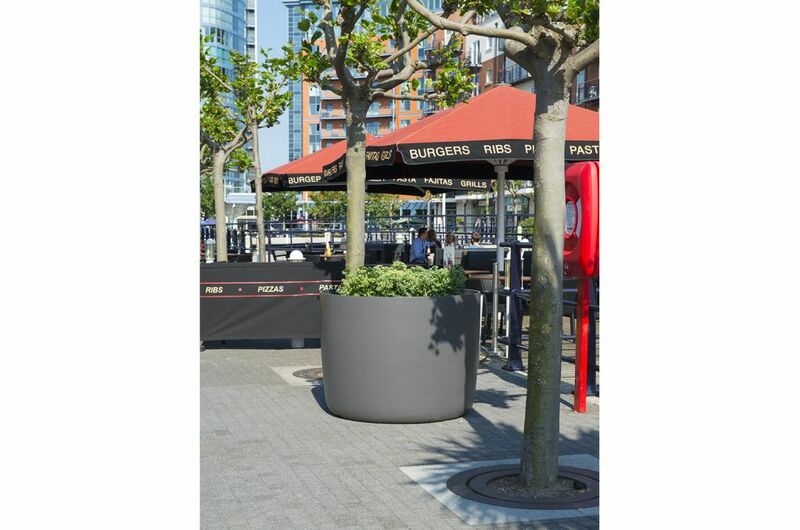 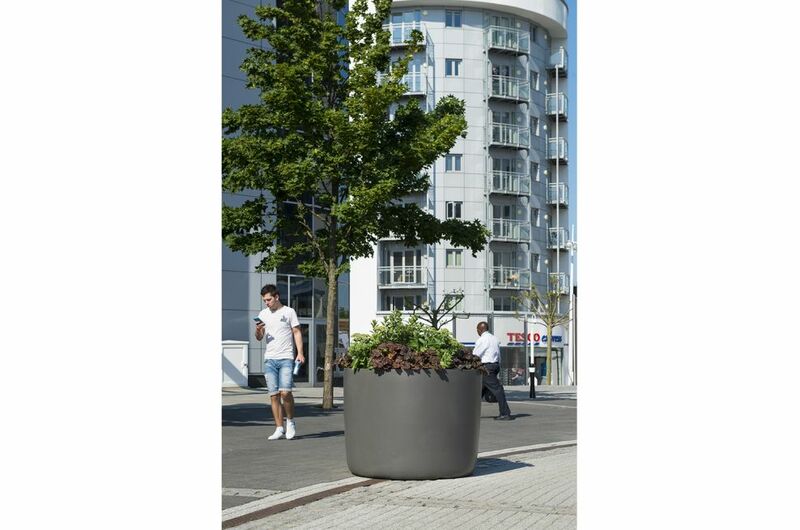 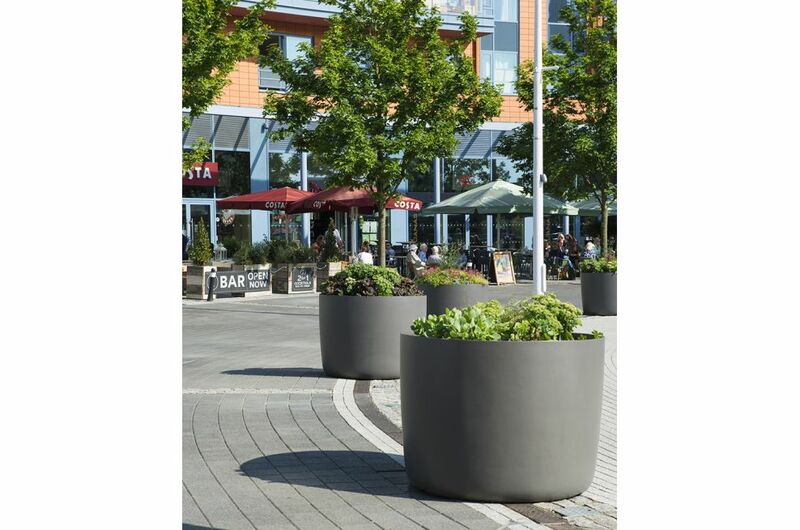 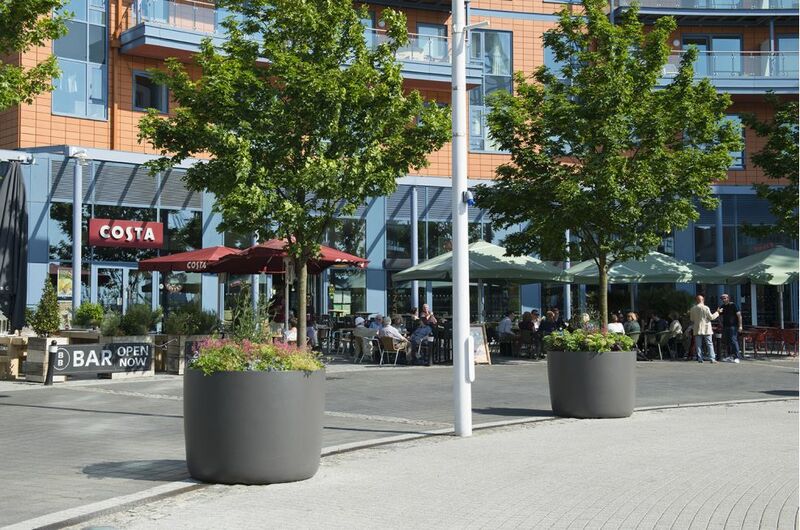 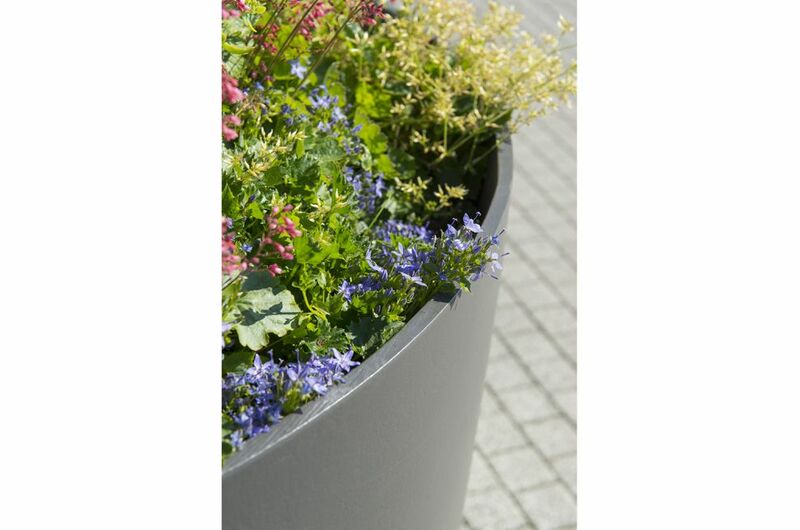 IOTA’s Boulevard planters were selected for Gunwharf Quays – the destination outlet shopping mall on the waterfront in Portsmouth, Hampshire. 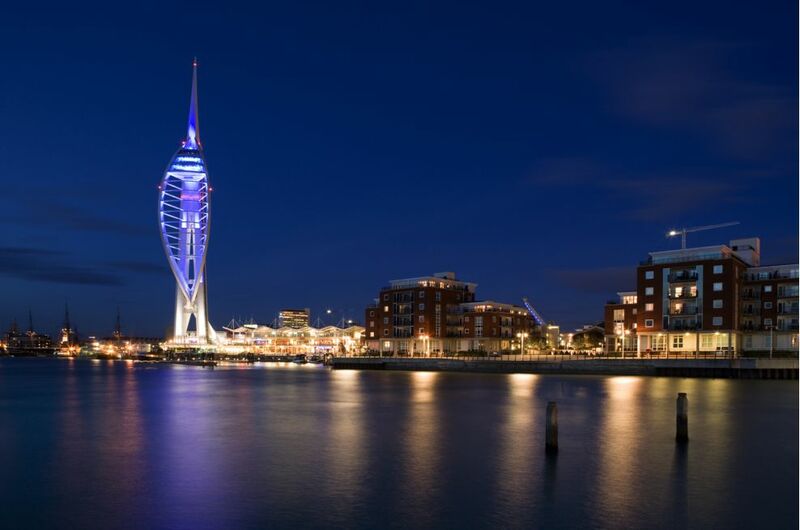 Gunwharf Quays is a designer outlet shopping mall on the waterfront in Portsmouth, featuring over 90 stores including famous brand names such as Tommy Hilfiger, Polo Ralph Lauren, Hugo Boss, Karen Millen, Hobbs and Jaeger. 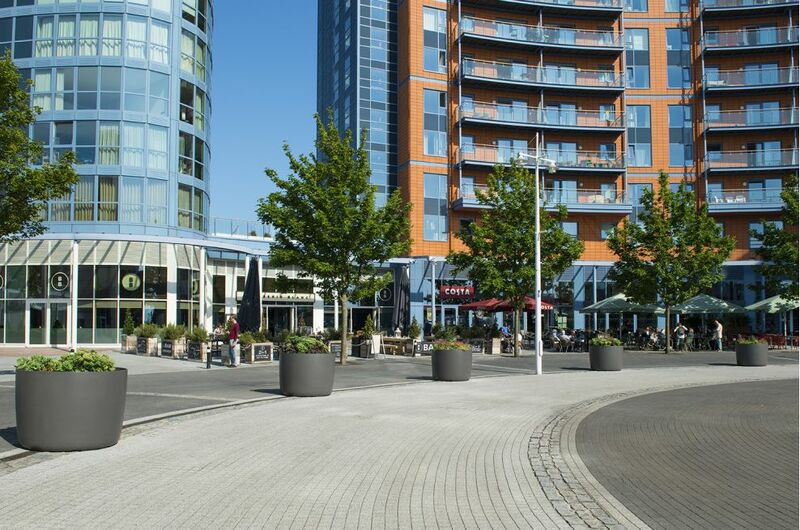 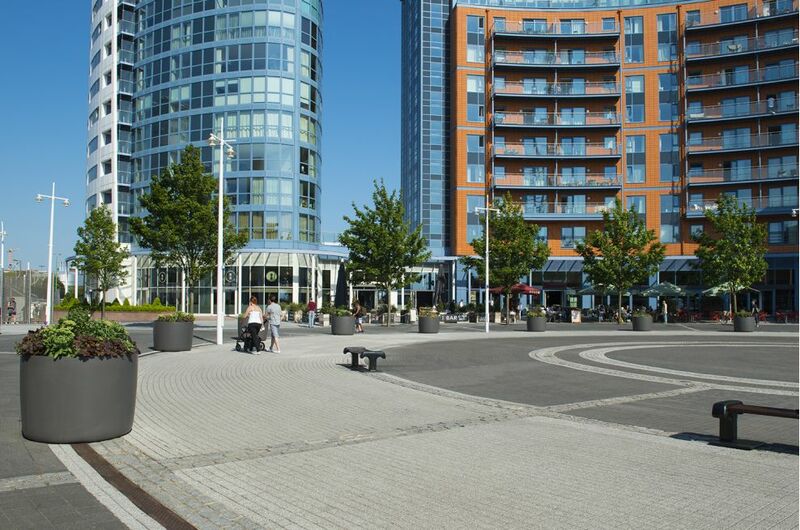 Gunwharf Quays also offers a wide range of bars, coffee shops and restaurants; in addition to a 14-screen cinema, 26-lane bowling complex, 24-hour health and fitness club, contemporary art gallery, nightclub and casino.